Since I am in the awkward position to try to teach knitting in England without being able to actually knit the English way properly (and on top of that being convinced that MY way is the right way 😉 ), I have put together a couple of amazing pictures (never ask your husband to take pictures of your hand 5 min before the start of an incredibly important football match) to illustrate how I hold the yarn to get the right tension. 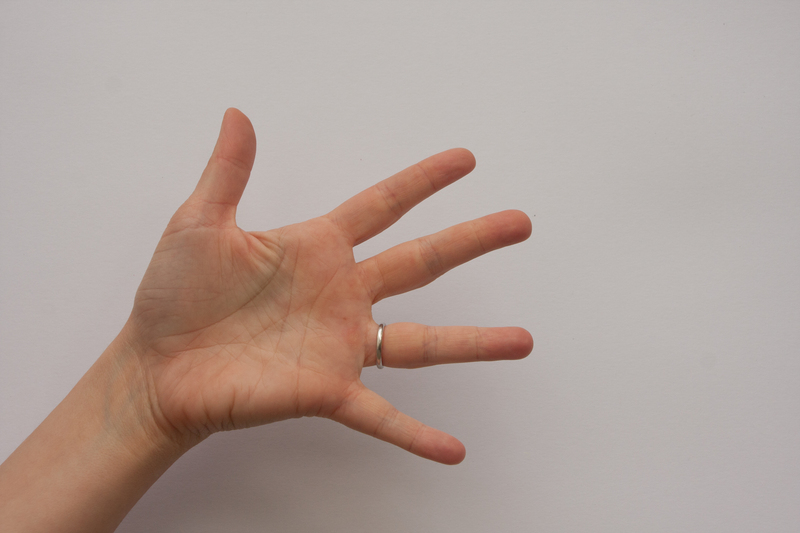 Your index finger goes straight up, as if you were telling someone off. Tips of the remaining fingers and the thumb touch each other. 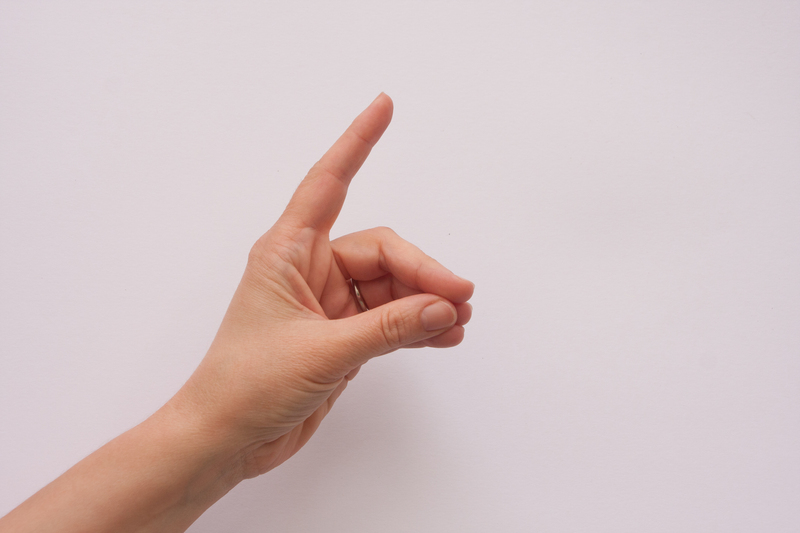 The index finger is still up, the thumb and remaining fingers hold now the needle. 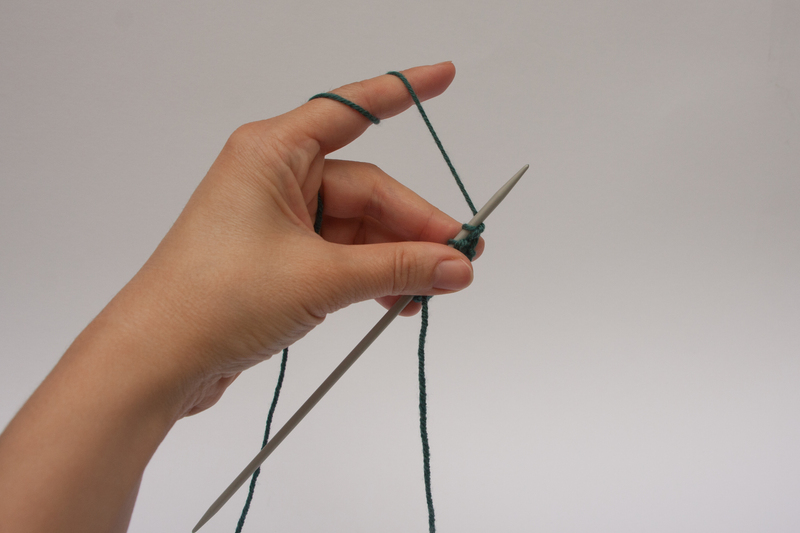 It is really crucial to keep that index finger up as you need a certain tension in the yarn between needle and index finger to be able to just grab and pull it through rather than wrapping it around. So now lets see how to wrap the yarn around those fingers to get a nice tension but flow at the same time. 1. Open your left hand and and spread your fingers. 2. 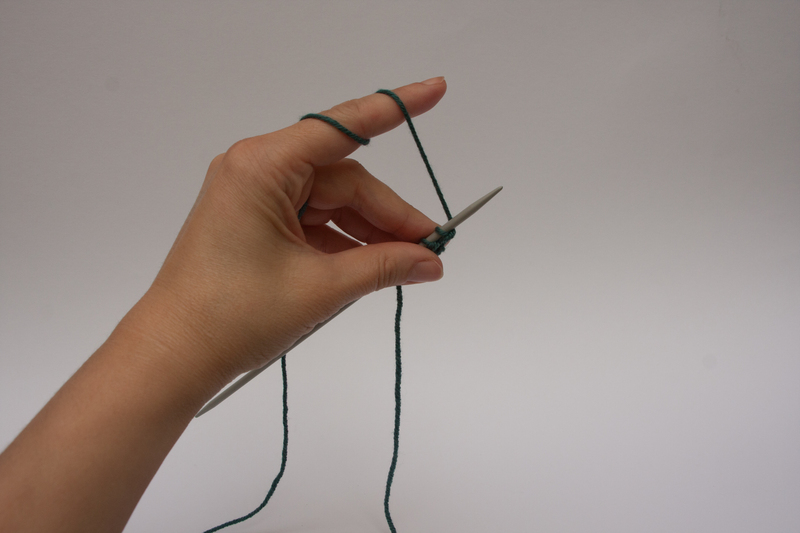 Pull the tail end of your yarn (or the knitting on your needle) through the gap between the ring finger and the little finger – coming from the back of your hand to the palm. So the ball end will be on the back of your hand, the tail end on the inside. 3. Pull it now back between index finger and middle finger. 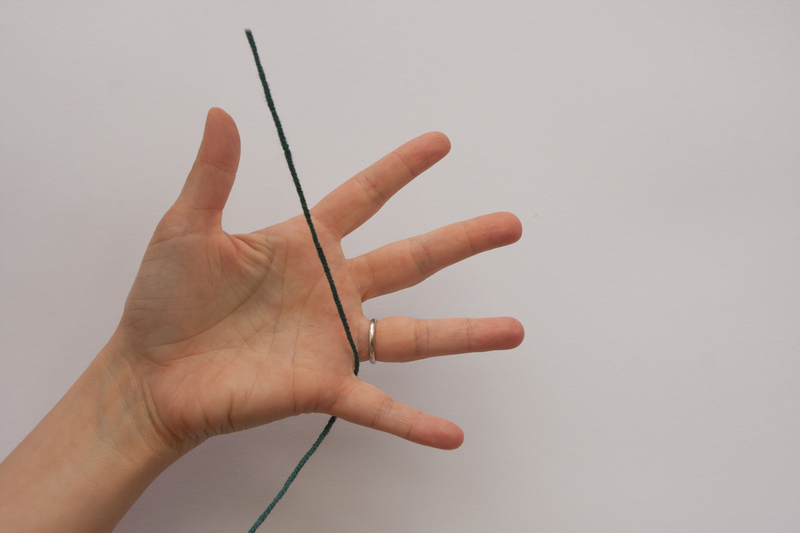 The bit of yarn going over the inside of your ring and middle finger will actually be the place where you will automatically adjust the tension while knitting (by opening and closing your hand slightly), so it is crucial that this is on the inside of your hand and not at the back. 4. 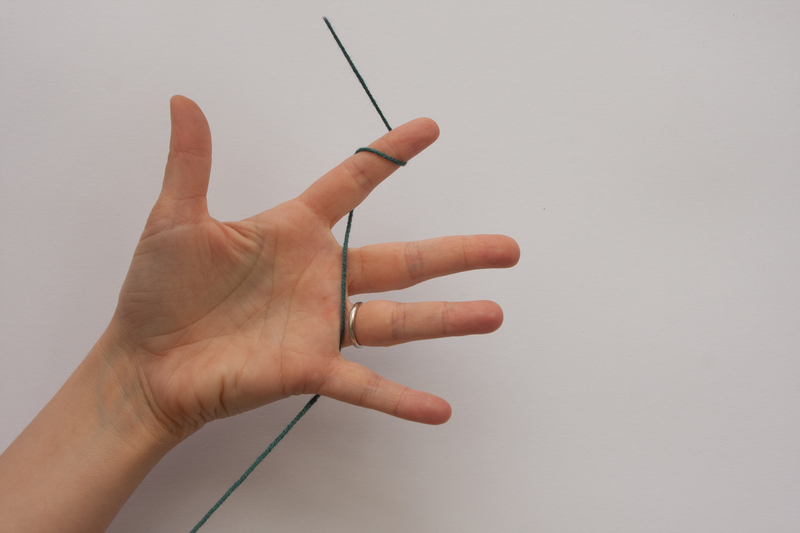 Wrap the yarn twice around your index finger. 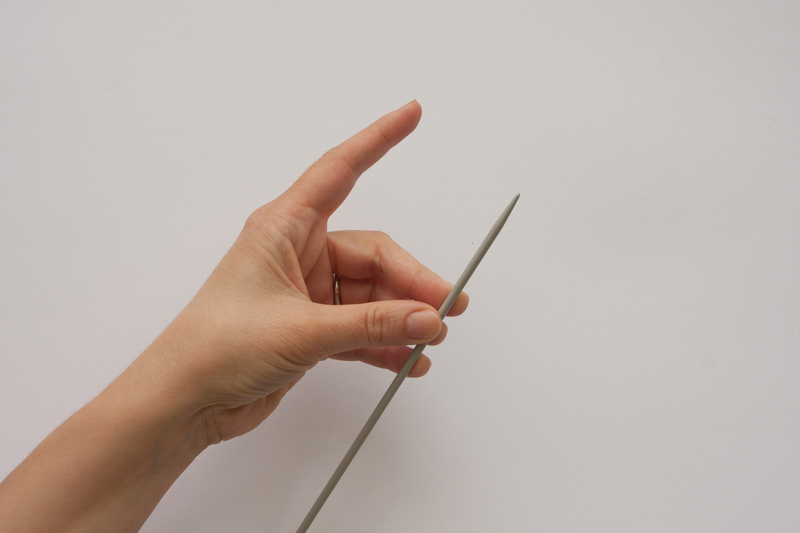 … or put the needle with your knitting in your left hand, making sure that you have a nice tension between needle and index finger. 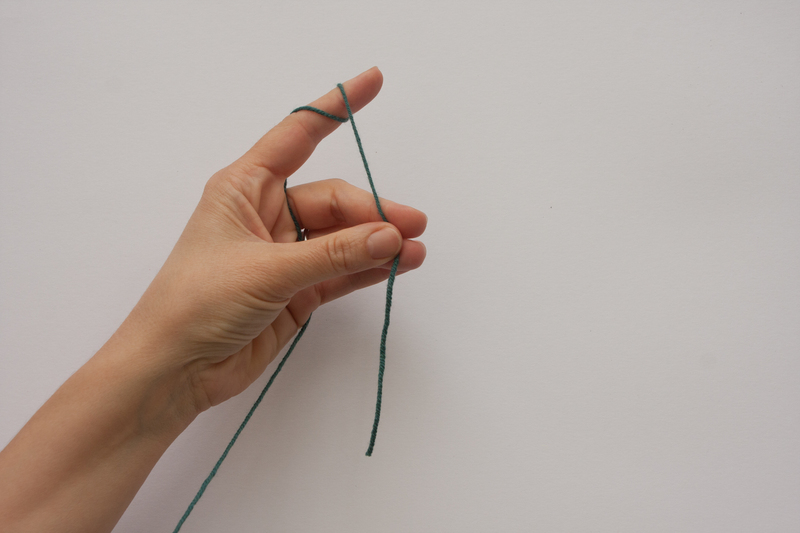 If that bit of yarn is loose, pull on the ball end to get it right. 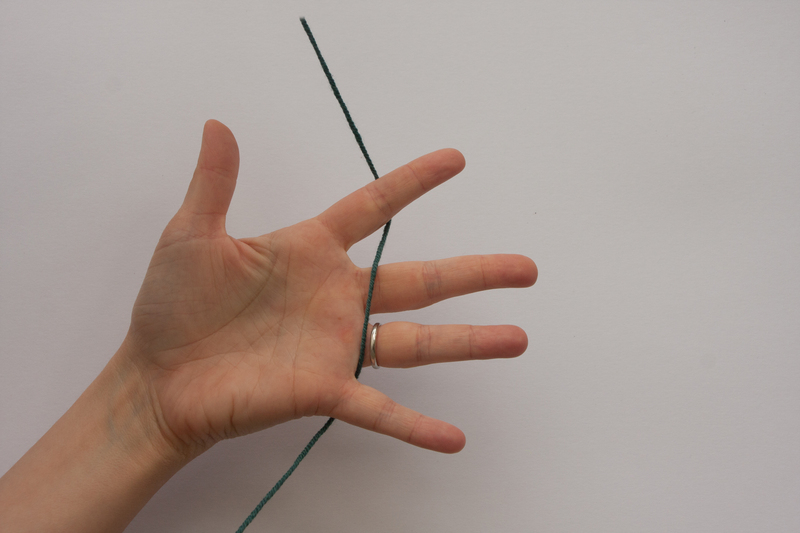 Don’t just wrap it around your index finger 50 times as it will stop the flow. And if you leave it loose you will have to wrap the yarn around your needle rather than just grab and pull it through which is the big advantage of continental knitting IMHO. This entry was posted in knitting, tutorial and tagged before you knit, Continental knitting, hand posture, tutorial by atelieroursonne. Bookmark the permalink.